For “turkey,” I added sage and thyme. When you make your seitan boiling broth, really put some effort into it! I added white wine, garlic, thyme, sage, Earth Balance, shitake stems and vegetable broth to mine. The resulting broth was so delicious, I used to to whip up a quick vegan gravy to serve alongside the “meat”! I used an EarthBalance, onion and flour blend for the roux, whipped in the strained broth, and then thickened with a 50/50 mixture of nutritional yeast and corn startch! After boiling the seitan, I sliced in and roasted it at 400 for about 30 mintues with some more dollops of Earth Balance (for crispy edges) whole garlic cloves, and white wine. Of course, no roast would be complete without stuffing. I used this recipe as my base for a wild rice stuffing, but added extra cranberries, currents, and toasted pecans. Oh, and extra Earth Balance, too 😉 As I told my friend Adrien today, you can also make this stuffing gluten-free by using panko instead of regular breadcrumbs, or skipping them altogether! There are so many wonderful, nontraditional vegetarian main courses, you shouldn’t feel held by tradition. 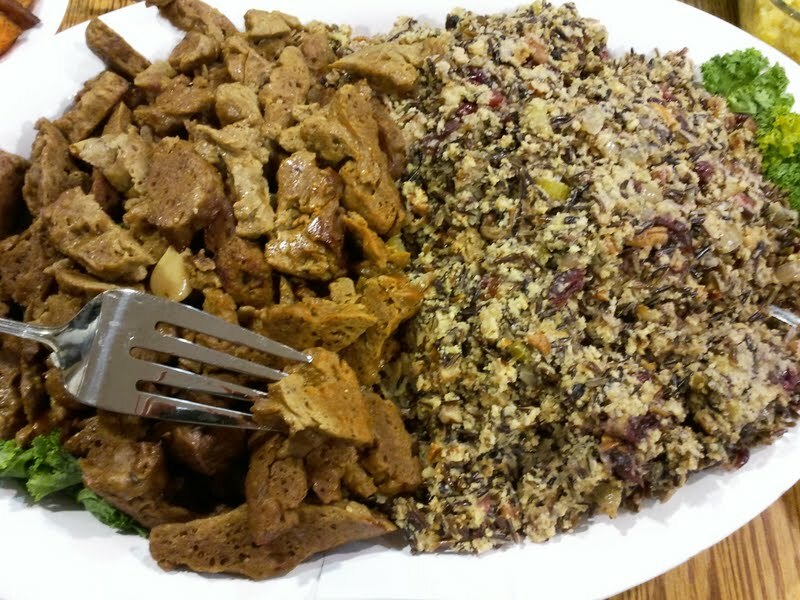 But if you’re craving that big bird, try roasted seitan, or get really ambitious and make your own homemade Tofurky! 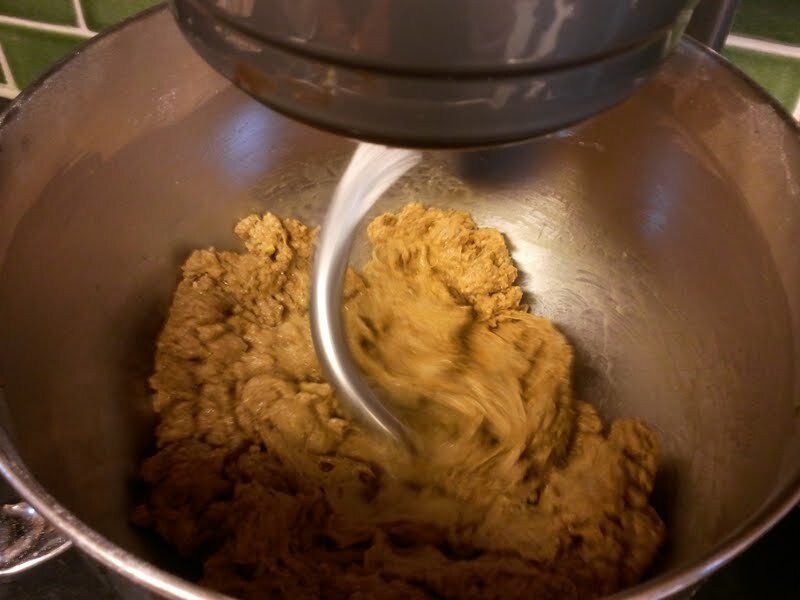 *wonder of wonders, I discovered that KitchenAid mixer with a dough hook makes great seitan! Why had I never thought of this before! veggicurious November 22, 2011 earth balance, gluten-free stuffing, homemade tofurky, kitchenaid seitan, seitan, Tofurky, vegan butter, vegan Thanksgiving, vegan turkey, Veganomicon, wild rice.